VOICE OVER CASTING FOR ANIMATED SIZZLER. We have a VOICE OVER CASTING FOR ANIMATED SIZZLER. The preference is Adults to do the voices. Client wants 18 years or older to do this, even though there are kids voices. 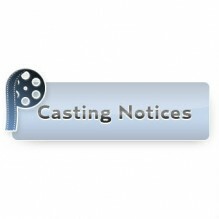 Talent can record for multiple roles, must submit separate V.O. Files. This gives them potentially multiple days of work if they are good at voices. friends and experiencing new locations around the world. different cultures and world languages, which is extremely helpful as the group travels the world. has an irrational fear of frogs. his missions, DogBot employs the help of four young children to guide him across Earth. her eyes – a skill that comes in handy at the end of the pilot episode. Sludge is a JunkBot who bears most of the bullying and punishment brought upon him by Dr.
“ingenious” plans, Sludge genuinely tries to impress his superior on their futile missions. diminutive, but more intelligent and bossier. Try again for me.. I adjusted them to the regular links.